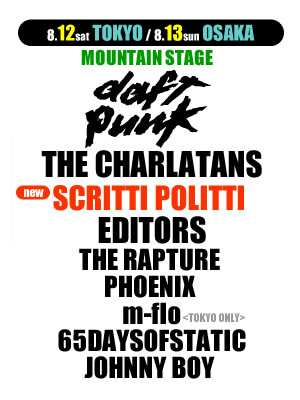 Scritti Politti will perform at the Summer Sonic Festival 2006 in Japan. Two times in Tokyo and Osaka on the 12th and 13th of August 2006. Update: We have just recieved an email from the Dutch Rough Trade department, De Konkurrent. Scritti Politti will perform in Holland and Belgium in September! Definitely rooting for Rotterdam, Nighttown. My hometown! Rotterdam is nice but The Hague has a beach, remember? I’d say both really… and Amsterdam ofcourse!